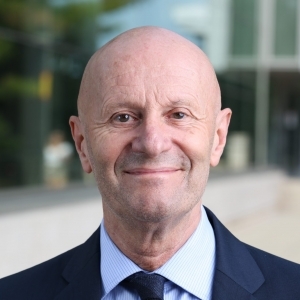 A passionate humanitarian, dedicated teacher, and internationally renowned researcher, Alastair Summerlee served as president and vice-chancellor of the University of Guelph (2003-14), interim president and vice-chancellor Carleton University (2017-2018) and professor of Biomedical Science (1989-2017). He is currently an adjunct professor in the Sprott Business School at Carleton and a professor emeritus biomedical science at Guelph. Summerlee spent six years on the board of the World University Service of Canada where he became involved in humanitarian issues in the refugee camps in Kenya. His work to raise funds to support education and women and girls in the campus attracted international investment from the governments of Canada and the United Kingdom and from private individuals. Summerlee is part of the international movement to unite universities worldwide in fighting hunger and poverty known as the PUSH Initiative (President’s United to Solve Hunger) and was the International Quality of Life Laureate at the United Nations in 2012. Summerlee has published numerous scientific articles and book chapters, written about teaching and teaching practice, advocated in the media for better conditions for people in refugee camps and is regularly invited to speak on teaching, research, accountability, fund-raising and sustainable business. His current research focuses on iron deficiency and a simple innovation, known as the Lucky Iron Fish®which has the capacity to alleviate the condition for almost 2 billion people worldwide. He is also serving as a Special Advisor to Carleton on the capital campaign and the interim leader of Education City– an initiative to provide educational innovation in the Ottawa region.